Back in January this year, I wrote a neat little utility library for sending template emails. Tonight, it caught the attention of fellow developer Benjamin Howarth, famous for (among other things) his Umbraco mastery. After a quick discussion, Ben decided to join me in maintaining the library and christened his membership in the project by adding a new ‘load from URL’ feature. 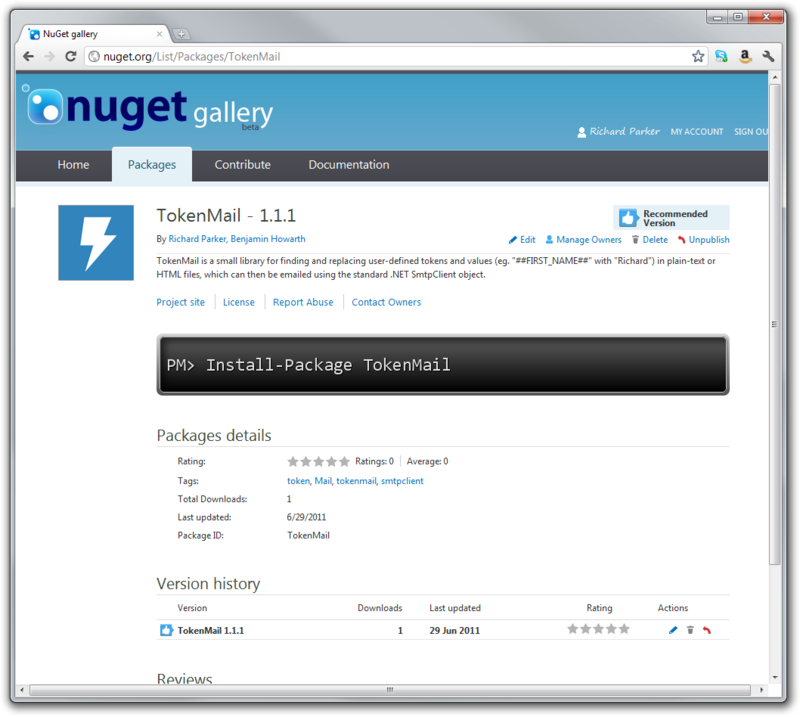 And, a short while later, a package was available on Nuget. Not bad for around an hour’s work I thought! I created the initial version of the library with simplicity in mind: it’s not fancy, or complex. It was designed purely to provide a solution to developers who have to send templated emails in their projects. Perhaps my favourite ‘feature’ of this library though isn’t really a feature at all, so much as it is actually a by-product of the way it has been designed: because it picks up template files from disk (or from a remote URL), you can easily allow your end-users to modify their own templates using your favourite rich-text editor. Pretty neat. I think it would be cool if we could get a little community of users together who could help drive the project forward with further suggestions. Head on over to the project hub at Codeplex to get involved, or download the latest version. And, if you decide to use the library, please, please, please – do rate it on Codeplex and/or drop me a note to let me know how you’re using it. It’s not a requirement, of course, but since we do this stuff for free in our spare time, we love to read feedback.